LATEST NEWS: Aurora Australis abandons attempt to save Akademik Shokalskiy in Antarctica. Welcome to Media-Sport, where we score points watching a part of the media dance around the hysterical folly of an Antarctic climate science expedition trapped in sea ice for six nights (and counting). The Art of Propaganda is not just in the telling of one-sided lines, but is crafted through parts left unsaid. With three ice-breaker rescue ships trying to reach them, the latest news is that the scientists and media entourage may have to abandon ship and be helicoptered to safety (though right now even that is not possible due to the very rough weather). The ABC news home page at time of posting this has zero references to “Antarctica”, but does say there are cracks in ice around a stranded ship. Antarctica Live is the Guardian Live blog where you won’t find any live news at the moment. The Guardian calls it “Antarctica Live” but the latest news is from yesterday. What use is a live blog if extraordinary events happen and you don’t cover them? A month ago the mission of the $1.5m expedition was “to answer questions about climate change”. Now the ABC describes the Australasian expedition as “a Russian ship stuck in sea ice in Antarctica.” The BBC has a reporter on board, and it only took 8 hours for the news to reach the BBC feed. Who is spinning the message to neutralize an embarrassing story then? Let there be no doubt, the mission was to document and record scientific changes in Antarctica and to broadcast that to the world. Most scientific missions don’t have a dedicated media team, but this one named a staff of five journalists. There is a journalist and a documentary maker from the Guardian as well as a senior producer from the Science Unit at the BBC world service. (See the media list.) If they’d discovered less sea ice, fewer penguins, or big cracks, we know the images would be all over the mass media and it would be evidence for “climate change”. But with the MV Akademik Shokalskiy trapped by thick sea ice, the mission apparently is to call it a tourist boat. The BBC now tell us the mission was “to follow the route explorer Douglas Mawson travelled a century ago”. Don’t mention the climate. (Search for the word “climate” on the BBC story for example…). If there is any doubt this was a climate science crusade read about it here: SpiritofMawson –The Science Case. It tells us the full message of doom including that they are studying an ice sheet that would raise global sea levels by 52m (!) if it melted. It doesn’t tell us that there is no sign that could happen. The site doesn’t mention that temperatures on Antarctica have cooled in the last 30 years, nor that sea ice has increased to record highs (I bet the team have noticed that now). The spin is that team has “met heavy ice“. 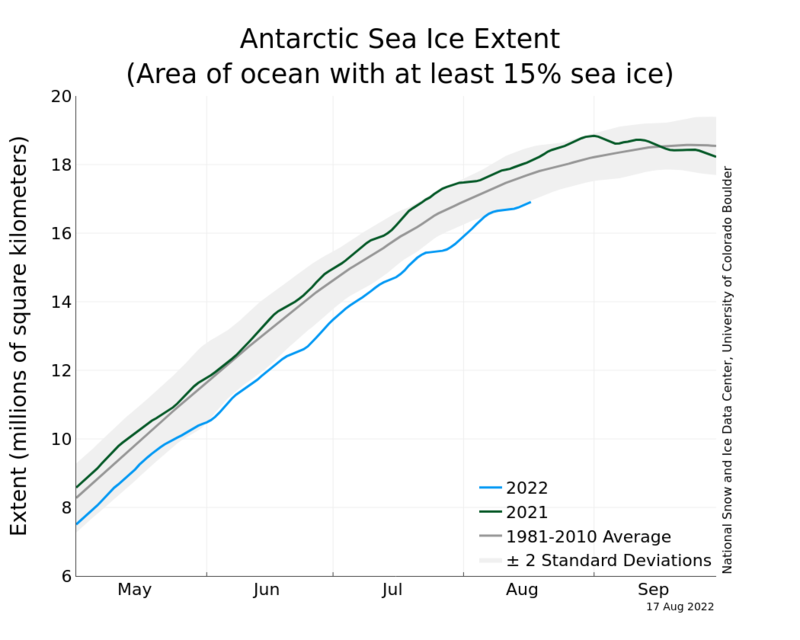 Not “been trapped by unprecedentedly thick sea ice, unlike anything Mawson ever saw, and in record levels”. If they had met thin sea ice, would it have been described as a dangerously thin layer, a risk for penguins, and a stark reminder of how much the climate is changing? Would it have been an undeniable factoid? It’s not what the ABC says, it’s what they don’t say (a.k.a. “lying by omission”). The headlines could read “Global warming scientists trapped in Antarctica by record sea ice they didn’t predict”. As if. That would be against the religion. How touristy is this boat? The three leaders are scientists, there are 8 other scientists and 18 PhD students on the boat. There are also 9 scientists back on the shore who presumably modeled the conditions in Antarctica and are world leading experts on sea ice eh? One of those experts is Matthew England who still describes the hopeless IPCC 1990 predictions were “very accurate”. The world awaits news of the trapped ship, and after 7 hours of waiting for the third icebreaker, the tweet from team leader @profChrisTurner while surrounded by impregnable ice-sheets is to say that “it’s so warm it’s actually raining!” #spiritofmawson. These are the advertising graphics for this Russian tourist boat that is following Mawson’s adventure –riiiight. Figure 1: The different components of the Australasian Antarctic Expedition 2013-2014 science programme (aligned with the Australian Antarctic Science strategic plan 2011 to 2021). UPDATE: On Christmas eve, they were apparently only “2 nautical miles from open water” when they got trapped. Today they were grateful the Aurora Australis got as close as 10 nautical miles. Hmm. Why is there nothing on this story on the ABC News homepage? Because yet again the ABC are playing fast and furious with the truth. The original story about the research ship getting stuck in the ice was belatedly posted in the “justin” section early Saturday morning (Saturday 27/12/2013 7.04am), when it became obvious the story couldn’t be hidden any longer. I say “belatedly”, because there is a BBC film crew on board. Plus there are reporters from the Guardian. So the whole drama could be being covered live. Since then, rather than post each new development as a “new” story – such as the failure of the Chinese icebreaker to reach them – the ABC has simply gone back and amended the original story, which now lies about two thirds of the way down the second page of the “justin” section. * This is the largest and most expensive Antarctic expedition ever mounted by Australia. * It is being funded almost entirely by the Australian Taxpayer, as is the rescue operation. * It’s not about “tourists”. There is the ship’s crew, the BBC documentary crew, the Guardian Reporters, a bunch of mad climate scientists, and a whole heap teachers and PhD students who actually paid for passage so they could be unpaid “research assistants” to the mad scientists. * By the time this little “Climate Change PR fiasco” is over, the cost to the Australian Taxpayers will run into several millions of dollars. It is interesting to note that the alleged purpose of this little taxpayer-funded White Christmas jaunt was to study the effects of climate change since Mawson was there, 1911 to 1914. Well, when Mawson was there, he was able to get his wooden sailing ship to within 50 yards of the shore. He couldn’t get closer, not because of ice, but because the water was too shallow. Conversely, the purpose-built, steel construction, ice-strengthened research vessel is currently stuck 60 kilometres out to sea, which is as close as they could get to Mawson’s landing spot, on account of all the sea-ice. Still, despite the total farce of the situation, not to mention the enormous waste of funds and effort, you have to laugh. Here we have a full, professional BBC documentary film crew, PLUS reporters from the Guardian and Fairfax, caught in the middle of what would, in any other circumstances, be a Pulitzer Prize, Walkley Award winning real-life drama, and because of the politics of climate change, they can’t report it and it’s unlikely that a single second of footage will ever be seen by a member of the general public. Can you imagine the coverage if instead of being stuck in ice that isn’t supposed to be there, they were all in a small Victorian country town surrounded by bushfires? We hope the 74 people on board stay safe, and wish them some global warming. 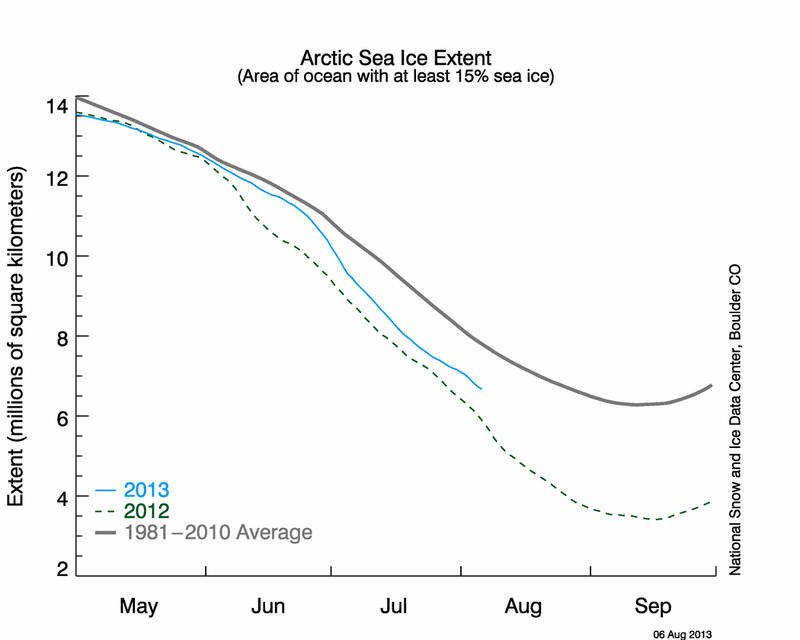 The Arctic sea ice extent is lower than average. (Not that that has anything to do with this story).